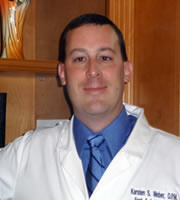 Dr. Weber was raised in Overland Park, Kansas, after moving to the United States from Munich, Germany at age twelve. He completed his undergraduate studies at Baker University in Baldwin City, Kansas, where he received a Bachelors degree in biology with a minor in music. He then attended Barry University School of Podiatric Medicine in Miami, Florida, where he graduated with a Doctorate degree in podiatric medicine and a Masters degree in the biomedical sciences. Dr. Weber completed his residency training at JFK Medical Center in Atlantis, Florida with heavy emphasis on trauma and reconstructive foot and ankle surgery. Dr. Weber is board certified in foot surgery by the American Board of Podiatric Surgery. 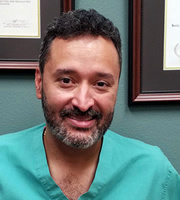 Doctor Stirling joined Lakeside Foot & Ankle Center and his long time friend Dr. Karsten Weber in June of 2009 after practicing in Clearwater, Florida for four years. Dr. Stirling was born in Chicago, Illinois and raised in the Republic of Panama, where he completed his preliminary education under the Department of Defense educational school system. He completed his Associate in Biology degree with high honors from Panama Canal Community College. Dr. Stirling obtained his Bachelor of Science in Biology after transferring to The University of South Florida in Tampa Florida. He also obtained a Bachelor of Arts degree, an interdisciplinary in natural sciences with an emphasis in chemistry. Nicole D. Hancock, DPM received her podiatric medical degree from Barry University School of Podiatric Medicine in Miami. 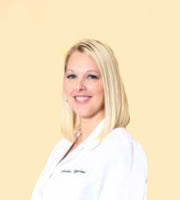 She completed a three year residency program at the Houston Podiatric Foundation in Houston, TX where she received her surgical training and focused extensively on forefoot and rear foot surgery as well as diabetic wound care and limb salvage.